ProbeTools are unconventional cameras and audio devices for Cultural Probes studies. TaskCam, VisionCam, Interviewer – each offers a unique and engaging way for people to tell you about themselves and their everyday lives. Make them, configure them, and lend them to participants to use independently. When they return the ProbeTools to you, the pictures and recordings they’ve made will offer glimpses into other worlds. TaskCam is the workhorse of the ProbeTools family. It lets people take pictures in response to prompts (tasks) displayed on a small screen on its back. Participants can scroll through tasks, select one, and take a picture in response. Each new image is tagged with the task that prompted it. Both the tasks and the pictures are stored on an enclosed Micro SD card, allowing you to customize the tasks before your study and download the pictures when participants have returned the device. Participants can take their TaskCam with them wherever they go. Scrolling through prompts on the camera, looking for one that inspires a picture, can be a pleasant diversion. Alternatively, the TaskCam can be used spontaneously when your participant sees something that reminds them of one of the tasks. Either way, TaskCam shows how many times they’ve responded to a task, allowing them to keep track of how they’re doing. VisionCam captures time-lapse images when it is activated, using computer vision to retain only contour animations—similar to line drawings—to protect privacy and enhance aesthetic interest. It is designed to be a non-invasive way to record events over time at home or in public spaces. You can ask participants to use VisionCam in specific locations or situations – for example, to record an evening meal, or activities in their front hallway, or even a walk to work. Alternatively, you can use more open-ended requests – “a place to slow down”, for example, or “the taste of morning” – to prompt participants to find their own ways to use the device. Interviewer asks people questions that you record, then pauses for a short time to record their answers. Digital audio processing is used to change both the questions and the answers to anonymize voices. Participants can borrow the Interviewer, loaded with the questions you want to ask, and use it at their own pace wherever they please. When combined with playful questions, its disarming form can evoke spontaneous and intimate replies. Interviewer can be used whenever participants have the urge. They might decide to answer all the questions in a single session, perhaps somewhere private at home or in a secluded spot outdoors. Or they might carry it with them as a kind of companion, answering a question or two in their off moments. There’s no limit to the number of times they can answer the same questions, so different situations might give rise to different responses. ProbeTools create a space of possibilities for learning about people—from the answers they give to your questions, to pictures they take themselves, to animations recorded passively. Use them together or separately to gain new access to what your participants get up to when you’re not around. Better yet, ProbeTools are completely reusable. Simply clear the memory and load up new tasks or questions, and you’re ready to run a new study. Cultural Probes were first introduced in 1999 by Gaver, Dunne and Pacenti after they invented them for a project set in three different European communities. Probes have become popular internationally as a method that balances empirical encounters with designers’ imaginations. Originally consisting of kits of postcards, maps, photo albums and cameras, the Interaction Research Studio has explored many different variations since. A common component in most kits has been disposable film cameras, repackaged with requests for certain kinds of pictures. Since the early Probe studies, disposable cameras have become rarer and more difficult to deal with. 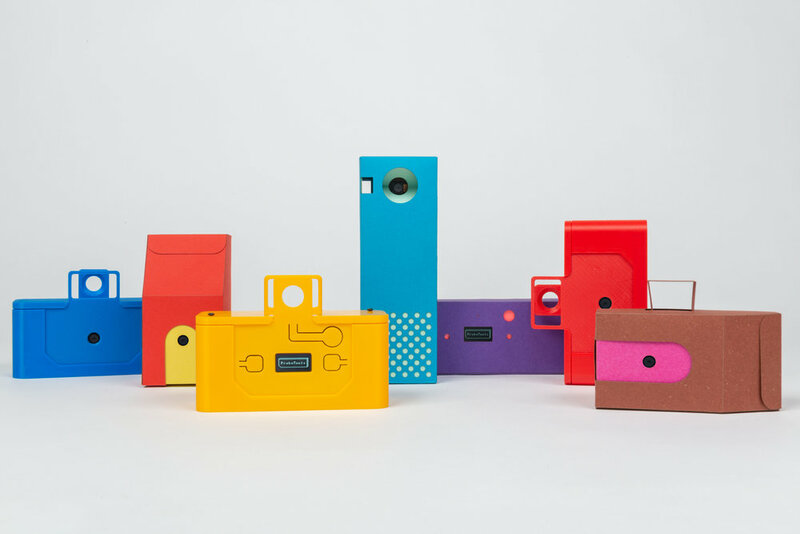 Smartphones and digital cameras, however, are too feature-laden to recreate the interesting constraints that disposable cameras offered. ProbeTools are designed to fill this gap. With features such as computer vision, motion sensing and time lapse photography, they don’t just recreate disposable cameras but open dramatic new opportunities for visual research. And we’re designing audio-only devices as well, to take the possibilities even further. ProbeTools devices were developed as part of a project sponsored by the UK Engineering and Physical Sciences Research Council (EPSRC).